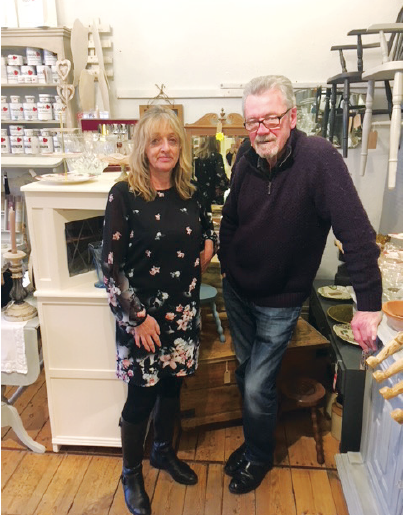 Hurstpierpoint High Street will be the home to a new retail outlet later this month when RetroSpective opens at number 89 – in the former Jam Pot shop. The business is the brainchild of Lindsay Thompson and Tony Walsh who have had a stall in My Vintage, Hassocks for the last four years. Now the pair are going it alone, and are inviting like-minded potential stallholders to get in touch. “If you know someone who has a penchant for antiques and vintage items, or local high quality arts and crafts, then we’d love to talk to them,” Lindsay commented. The shop will stock various types of products including upcycled furniture and accessories for every room in the house. But there will also be other items such as organic lavender products and pre-loved clothing for sale too. At the time of going to print, the shop is currently undergoing a refit and it looks likely that RetroSpective will open its doors during February. Its hours will be 9.30am-5.30pm Monday to Saturday and Sunday’s 10am-4pm. For more information call Lindsay on 07789 397284.